Presented in partnership with Atypical Gallery, Faces of Belfast is an exhibition of nine oil on canvas portraits by award-winning local artist, Joel Simon. Each portrait represents a local Belfast personality who has captured Joel’s imagination and attention through their contribution to the dynamic, vibrant cultural phenomenon that is Belfast in 2018. 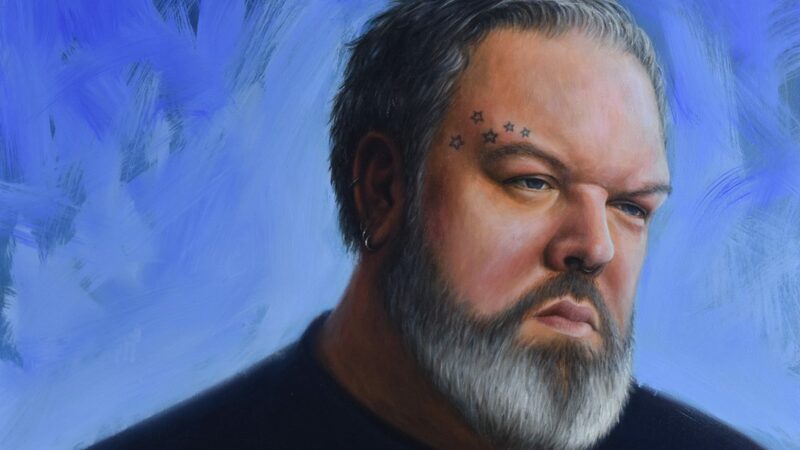 The sitters in this exhibition will feature Fantastic Beasts actress Jenn Murray, author Glenn Patterson, Kristian Nairn AKA ‘Hodor’ from Game Of Thrones, Belfast drag queen Lady Portia Di’ Monte and world champion boxer Ryan Burnett. A chance to meet the artist and some of the personalities who have sat for the exhibition. A rare opportunity to enter the artist studio, lifting the veil of privacy that usually shrouds the creative process as you watch Joel complete a portrait of a sitter in real time.